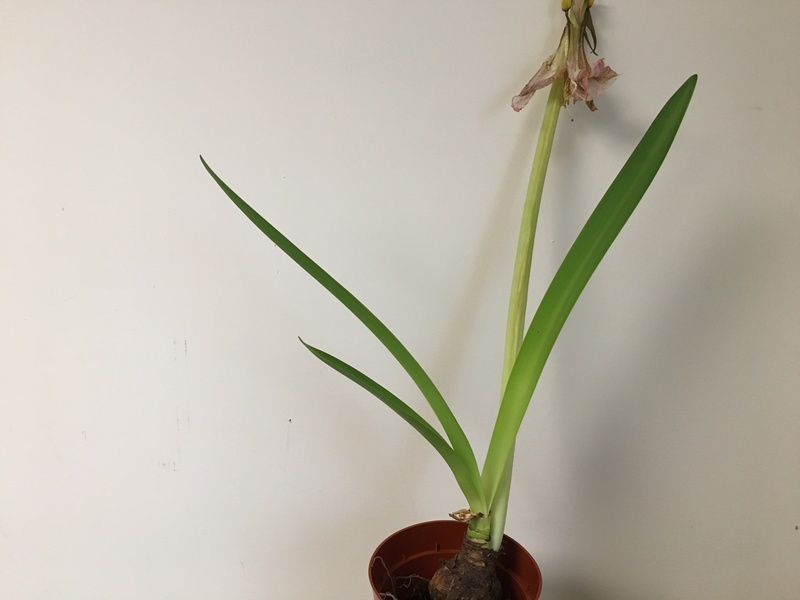 My Amaryllis Bloomed, Now What? Amaryllis flowers are one of my absolute favorites, especially during the holiday season, but many wonder what to do with the plant once the beautiful bloom is done flowering. Do you toss it? Try to rebloom it again? Extension Master Gardener Coordinator, Sandy Mason, shared some great info on her blog several years ago that may help! The longer you keep a bulb, the bigger it gets and the more flowers it produces, so the effort can really be worth it! Once the flowers fade, remove the flower stalks but leave the leaves. The leaves will help to replenish the food storage in the bulb. Amaryllis should be grown as a houseplant by watering and fertilizing regularly with a houseplant fertilizer such as 5-10-5 or 5-10-10. In early summer once the danger of frost has passed, you could put the bulbs outside under a shady tree. Continue to grow the bulb for 5-6 months after flowering. 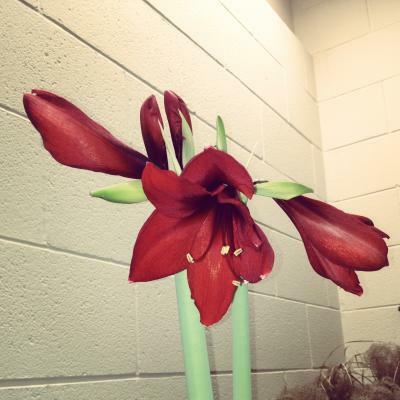 In order to get amaryllis to bloom in winter they must go through a rest period. It seems amaryllis bulbs have a sleeping beauty complex -- they sleep a long time before they reveal their beauty. In August, it is time to stop fertilizing and time to gradually reduce watering. After about three weeks, stop watering completely. Let the leaves yellow and die down naturally. Cut the yellow leaves off to a couple of inches above the bulb. In September or early October, set the bulb, pot and all, in a cool (50–60°F), dark, dry place for at least six to eight weeks. The six to eight weeks of rest should not be counted until all the leaves are yellow. A basement is a great pladce to put them and forget about them. In November or later, move the potted plant back into a warm bright area and start the growth cycle again by watering. Amaryllis like to be somewhat pot-bound so don't worry about repotting for a couple of years. Keep the soil, moist but not soggy. Don't let the bulb dry out especially once it starts to flower. Rotate the pot daily as it grows so the plant doesn't lean to one side. Ideal temperature is 55–65°F. Warm temperatures promote long, weak and spindly growth. Be patient. The bulb should flower within 4 to 8 weeks from the time you start watering again.